Regardless of format limits, wirelessly stream any local video & music files (not web content) to Samsung Smart TVs! No longer you have to spend hours converting the files to “right” formats before playing them with a USB drive. 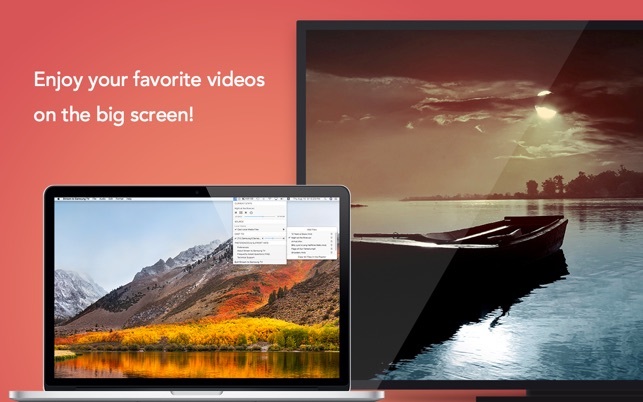 This app allows you to beam any movie directly from your Mac to the big screen, wirelessly! Simple as that! 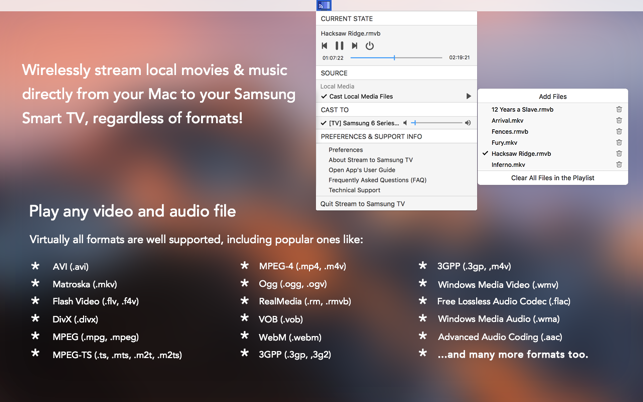 You can easily cast local videos and music with Stream to Samsung TV. It will play virtually any file you throw at it to the big screen, including 3GP, AVI, ASF, FLV, M4V, MKV, MOV, MP4, M2TS, MTS, RMVB, RM, WEBM, WMV, AAC, M4A, FLAC, MP3, OGG, WMA, or any other common format. 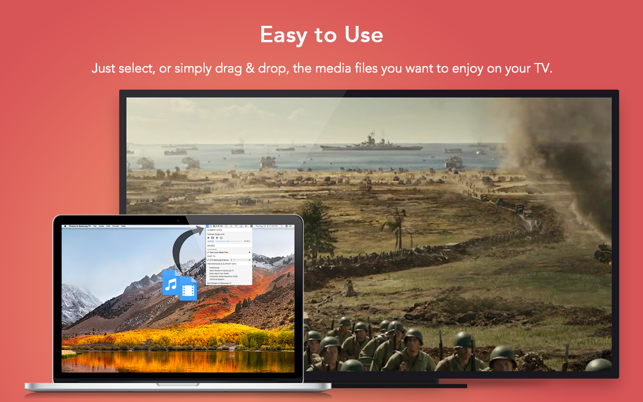 Just select the file that you want to stream to your TV, and you can enjoy it on the big screen in no time! Playlist is also supported in the app. You can throw a whole bunch of files into the app and create a playlist, so that you can enjoy your beloved movies non-stop. You can use the app to change videos or songs, play, pause, seek, and stop the playback. Volume adjustment is also available in the app. 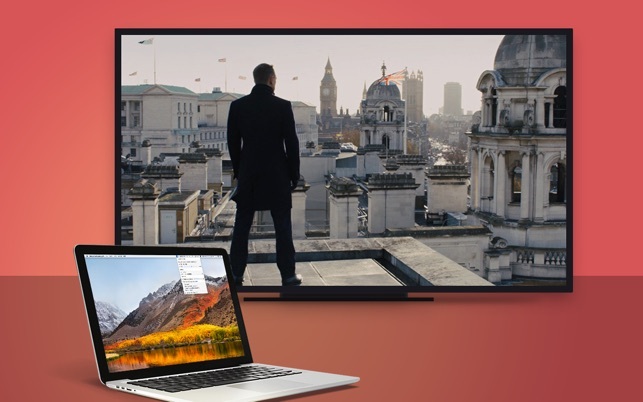 Stream to Samsung TV automatically discovers supported devices connected to the same network as your Mac. No configuration needed, no hassle! This app works on any Samsung Smart TV manufactured in 2011 and later - 2011 (D Series), 2012 (E Series), 2013 (F Series), 2014 (H Series), 2015 (J Series), 2016 (K Series), and 2017 (Q & M Series). Trademark Acknowledgement: SAMSUNG is a trademark of Samsung Electronics Co., Ltd in the United States or other countries. This app is not endorsed by and has no association with the company listed herein. Nachdem ich der App eingehende Verbindungen durch die macOS-Firewall gestattet hatte, habe ich sofort ein mp4-Video ausprobiert... und mein Samsung-TV meldet, diese Datei werde leider nicht unterstützt! Offensichtlich ist die Liste der unterstützten Formate nicht genau genug. Der Codec des Videos (AVC, also wirklich kein exotischer) im Datei-Container (mp4) wird also nicht unterstützt. Begeistert bin ich nicht. Man hätte ja bei nicht unterstützten Codecs eine Sofort-Transcodierung auf dem Mac vor dem Streamen ans TV anbieten können. Ausreichend Leistung dafür hat der Mac ja. Man kann nur Videos und Audio Datein teilen, Bilder sind nicht möglich. Soweit so gut, allerdings funktioniert das teilen von Videos mit meinem Samsung TV auch nicht. App ist viel zu teuer, dafür dass sie das nicht unterstützt. Schade um die 5,49€! Hey vbvt. Thank you for taking the time to write this review. Would you please contact us directly to provide more details for this problem by clicking "Technical Support" in the app's drop down menu? So that we will know what went wrong and then help you fix it. Thanks! It does not works with my new Samsung Series 6 (2017).